The February release has been full of some gorgeous new products and we hope the projects from the team have been beyond inspiring! I've picked out favorites of my own, from each of the design team members, to share with you today! Click the link next to each team member's name to see more details about the project shown here, as well as the rest of her projects from this release! And be sure to read all the way to the bottom of the post…..you won't want to miss out on this month's release in review CONTEST!!! 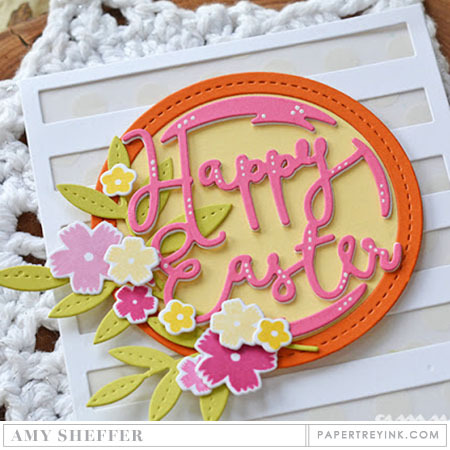 CLICK HERE to see more from Amy Sheffer. CLICK HERE to see more from Kay Miller. 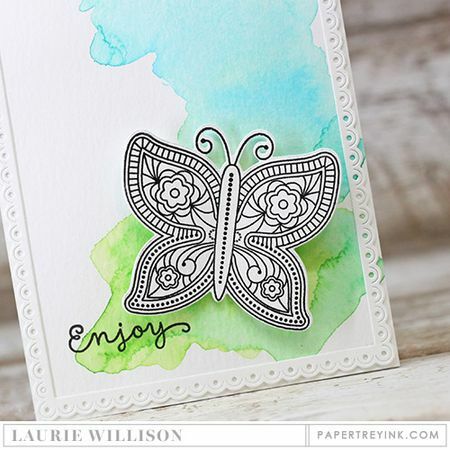 CLICK HERE to see more from Laurie Willison. Now that you have had a chance to see all of this eye candy, how about a chance to win a gift certificate to purchase some of the amazing goodies used to make them! for you to spend however you choose! You have until 9:30pm EST to post a comment and be eligible to win. Only one comment per person please. One randomly selected winner will be announced here, on this post, shortly before the release at 10pm EST. Thanks for joining in our release festivities today and best of luck with the contest! 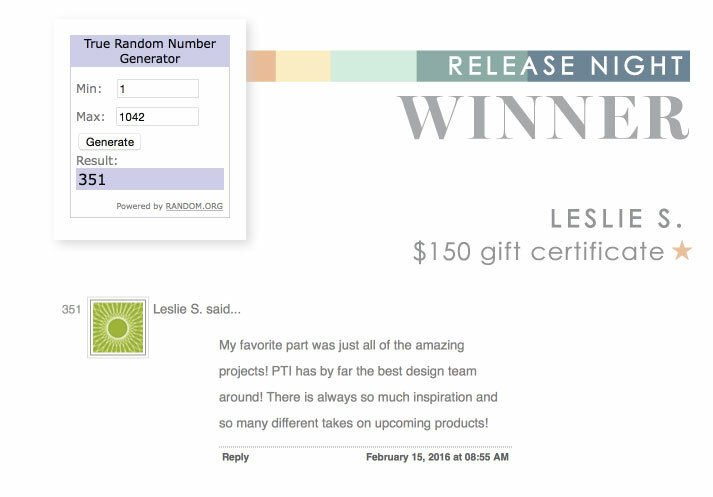 Congratulations Leslie S! Please email customer service and provide them with the email address you would like your gift certificate sent to! And thank you to everyone for joining us this week in all of the anniversary festivities! My favourite thing was staying up each night till 11pm my time, to see all of the beautiful new projects. My mind was blown each day with so many new releases. It has been such an exciting 10 days. Thank you! My favorite part of the festivities was seeing all of the new designs & how to use them! OH, and the contests, too!!! Loved seeing all of the submissions! Love PTI!!! I have loved all the different contests (the alphabet name, square sampler, fortune teller) so creative!! The challenges- I’m happy with the lovely cards I was encouraged to make. My favorite part was looking for all those easter eggs. My favorite part was seeing the samples from all the team. I loved the challenges even if I didn’t participate. My favorite part is always the release reveal. Love seeing all the new products! I enjoy seeing the new products each and every month – the Anniversary month is especially enjoyable because there’s usually a new year-long series or two announced. My favorite part of this release was the anticipation of the new products and the design team’s creations. I enjoyed all the challenges/games that you provided. With the challenges, it gave an opportunity to see how other followers use PTI’s stamps and supplies. Each anniversary gets better and better. Happy 9th Anniversary! Such an awesome celebration, as always! I loved the challenges, the sharing from the team and ALL of the daily excitement! My Favorite part has been leaping out of bed to see what’s next on Nicole’s blog during this fun and happy time – contests, designer creations, sneak peeks and ALL! I enjoy the moments inked items – but truly my fav is looking at all the great projects you ladies make with the new release! You are all so talented. Definitely all of the challenges! It forced me to get some cards made & build up my stash a bit. I never would have made any otherwise. I love everything about PTI Anniversary celebrations. Some of my favorite things are: intros of the design team (what an amazing group of talented ladies; getting up every morning and jumping right on my computer to see the new product introductions – what new series will be there be to look forward to; the reveal of the anniversary set; the challenges (even if I don’t have time to play along). I especially liked the squares and alphabet challenges this year. I’m hoping to use those with friends during our bimonthly PTI cardmaking days. The daily, extremely generous, opportunities to win and the anniversary discount. Everything related to the anniversary release is awesome. Thanks again to the entire PTI family for the time, talent and love you pour into your jobs, not just during anniversary month, but always. You’re the best! I loved seeing all the projects the DT came up with but I think the most exciting part was waiting to see the new anniversary set! I think it was the exciting new product introduction: stencils! Looking forward to trying these out! I anticipate February every year for the PTI anniversary. I love coming to my computer every morning. The design team is exceptional and always excites me with designs. My favorite part of release is the feeling “I need that right this second.” There are so many products that get me so excited. Looking forward to ordering tonight. PTI releases are full of excitement and anticipation. The display of superb talent by the designer team is awe inspiring. In particular, I am fascinated by the butterflies and blooms. There are certainly many beautiful bloom sets to choose from, and I am jumping at the opportunity. Congratulations, Nichole and PTI team, you rock! 5 I think it was, when Spring woods and Tulip time were previewed. As with every release, seeing the design team’s stunning creations! My favorite part was seeing all the amazing designs that the DT came up with. I especially loved the prayer box idea made from the Tiny Town Church die. I also had fun guessing how many buttons were in the jar! My favorite part is the new releases! My favorite part was seeing how the PTI community do their own twist when entering a challenge… I saw some really creative takes, very different from what we usually expect to see in a challenge. Also loved to see the DT personal interpretations, as I always do, because they are a very talented group of ladies, regardless my design preferences. I love getting up each morning and knowing that at 7:00 there’ll be a load of inspiration day after day for 10 days! The anniversary release is always my favorite, and it certainly did not disappoint this year. Now I have a few hours to decide which of the MANY products I want I can afford to purchase tonight! Waking up each morning to see what was coming next! I love the anniversary set and all the new dies! Thank you ladies for the fun! The challenges even if I didn’t get to play along every day! My favorite part is seeing the release reveal. You and your DT always make the release so exciting by just seeing the possibilities of each item. Thanks for all the amazing inspiration you have given me. Seeing all the new stamps and dies that were released and the amazing projects the DT made with them. The projects and new products are so amazing! The length of the festivities is incredibly impressive in light of all the behind the scenes work! I love the egg hunt, too! Thanks for all the fun and all of the generous opportunities to win! My favorite part of the anniversary celebration is the same as always. I love to see the beautiful creations of the design team. Their work is always so inspiring. I just love seeing all of the examples that you and your designers come up with each month, and this month you had double the work! The contests were fun too. I love the new anniversary set! Can’t wait to earn it! Amazing new releases were my favorite part of this month. You pulled out all of the stoppers. There are amazing new products!!! Besides all the many new products, great samples from the team it would be definitely the challenges ! It was FUN every day ! Happy Anniversary PTI and keep it up ! My favorite part of the new release was all of the fun contests. I didn’t get to participate in as many card contests as I wanted because of health problems, but it was still fun! Not knowing what the next day would bring was loads of fun! My favorite part was seeing so many beautiful design team projects. And I really enjoyed the card challenges … lots of fun and I tried some new things. Thanks PTI for all the wonderful products and inspiration! Really like how you make every month a celebration! …especially your Anniversary! I enjoy seeing all the beautiful examples of what can be created! 10 days of new product previews and DT inspiration! My favorite part is seeing the amazing projects created with the amazing new products! EVERYTHING about PTI is my favorite! Oh my it is so hard to pick a favorite…I love all the floral cards created by the team. I am so ready for spring! Thanks for all the inspiration…. My favorite part was looking at all the beautiful projects made by your designers. You have an amazing design team. My favorite part was the new product reveals and the contests and challenges. My favorite part was the anticipation each and every day to see what would be revealed. And I have to say I was not disappointed!! Honestly, I think I will be having withdrawal for the next few weeks! Thank you for the fun contests and awesome new products! It was a lot of fun! Waking up every morning to see all the beautiful inspiration from th DT. The anticipation of it all! Love the stencils, tiny town and the new color! Glad the entire DT is back and especially happy to see Erin taking a more active part in card-making again-I have missed her style. My favorite game was the egg hunt and seeing the new anniversary set revealed. Another great anniversary release, PTI! My favorite part of the festivities was the challenges – especially the Paper Craftin Alphabet challenge from yesterday. That was my favorite! I loved everything. It was so fun to get up and “study” each and every product as they were released. Everything was so beautiful. I truly think it was the best release yet. I also LOVED seeing the DT’s ideas for 11 days. They are all so incrediblely talented. Great release PTI!!!!! And Happy Anniversary!! My favorite part was seeing all of the samples made by the designers. I was especially excited to see the new tulip set. My favorite part was just seeing the spring colors. During winter in Minnesota, everything is very gray and white so all the cheerful colors were a great reminder that Spring will come! My favorite part was seeing all the new products and projects! My favorite part is definite the creative inspiration for the design time! I love seeing all of the projects for so many days! The well of creativity never seems to run dry for these ladies! Thanks to the entire team for a very fun anniversary celebration and congrats to PTI on 9 years in the business! I loved all the anniversary festivities! The challenges were especially fun, and the one with the letters of the alphabet assigned to various elements or techniques was my favorite! I think I’ll be reviewing all the letters for more great creativity! Just seeing all the new items and all the inspiration from everyone..and seeing the new Anniversary 2016 stamp set…love it! I am going to love the discount for sure…I loved that the festivities went from the 5th on. Ooh, that’s such a tough question! While I loved having ten days of reveals, getting excited about the new products & being inspired by the DT, my favourite part of the anniversary celebrations would have to be the challenges. I participated in each one… So fun to play along and be stretched to create something that I wouldn’t have thought to do on my own! my favorite part is always the fun challenges, a great way to play with my PTI supplies. I loved everything from PTI! Thank you ladies, everyone has done an amazing job! My favorite part was seeing all the creative projects with the new release stamps and dies. I’m in love with so many sets! Happy anniversary! My favorite part was the daily inspiration- I loved seeing projects on everyone’s blogs each morning as I started my day. I favorite stamp set is the border bunnies. It’s hard to not have a cute bunny though. I’m in love with this set, no doubt. It’s really hard to narrow it down to one favorite part! I love the excitement that goes on in the forum and really enjoy the push to create – I guess I would have to say the challenges! The products are just outstanding and this has got to be the best Anniversary yet! I think the Anniversary stamp set will be my favorite of all time!! Thank you, PTI!! I really liked the unique card challenges. I wish I’d had more time to complete the last few! Happy Anniversary & thanks for the opportunity to win. Enjoyed your daily inspiration the most. Can’t wait to order. Hands down my favorite part of the anniversary festivities is having a full 10 days of product previews and Design Team projects to drool over! I love carefully pouring over everyone’s posts and seeing peaks of all the awesome new products. It’s a virtual crafting utopia! My favourite part was seeing the gorgeous projects by the talented Design Team. I was drooling over all their pretty creations! My favorite part was seeing the design team creations each day. I also enjoy the Easter egg hunt . I am such a planner fanatic. My favorite thing about the anniversary release, besides the 9% off (thank you so much for that) is all the planner things. Refills, perpetual daily pages, the Posted II set, the everyday symbols stamp set and the list goes on and on (LOL – I know, very bad pun). I am loving all of it! I think the most exciting part was having all those extra days of new product reveals. Ten days of fun is always better than five! Great job! Simply put…my favorite part of the release was the 10 days full of inspiration! So many beautiful creations were created by the design team. I love all the challenges! I was especially tickled with the Alphabet Challenge and would have loved to try even more alpha combinations. So creative. And I loved all the bright and beautiful Spring creations ey candy this month. Happy 9th! My favorite part is the challenges and the egg hunt!! I loved seeing everyone’s lovely creations with the new release. So much talent in your design team, so much inspiration! My favourite part was having extra release days – so many new amazing products and so much inspiration! My favourite part has been seeing the fabulous projects the DT created with the new products. The anniversary set is beautiful too. I love the same thing about the anniversary festivities as I do about each monthly release: fun new products showcased by a talented team. The anniversary release is just bigger and better, with more products, more samples, more contests and challenges. My favorite part? It’s a tossup between the anniversary set (yes, I want it) and the nice discount (yes, I’ll use it). Perfectly understandable about the free ship threshold going up — shipping costs are going up faster than the cost of the goods shipped — I’m just glad you are able to hold it at $80. I’m off to move some wish list items to my cart. Unless of course I’m a big winner tonight — ha ha! The dress up dolls! They’re beyond cute. Thank you for the paper refills too! My favorite part has been seeing all of the DT creations. They are so talented! My favorite part of anniversary is waking up every morning for 10 days to enjoy the exciting news and product announcements and look at gorgeous DT projects over my coffee. Bliss! Second favorite part was the fun challenges which always push me to create in a fun way. This year’s color fortune teller was so fun my kids made their own cards with it too! Thanks PTI! Seeing all the great new products and all the creations by the design team. You all knocked yourselves out!??? I feel it goes without saying that the new products and designers creations are a given, but I will say it anyway! Aside from that, I really enjoyed the daily challenges. I have purchased from PTI for years, but I think this was the first time I actually played. I love the different challenge assignments and options. I loved everything this month, especially the tiny town sets!! I always love checking out all of the designers projects too! The goodness just kept coming!! My favorite part of the anniversary celebration is participating in the challenges. Seeing all the projects from the design team is just so inspiring! They make me want to go in my craft room and get creative! My favorite part was seeing all the beautiful projects from your design team. So much beautiful inspiration. love seeing all the new products, but especially the team designs that are unexpected uses of the products. I loved seeing all the card samples from the team and I really enjoyed the egg hunt too! This has been such a great release. My most favorite part were all the product introductions and the fact that all the designers came back for another year. I enjoyed the daily challenges. They were fun and very different ways to come up with projects. The alphabet challenge was my fav. I think what’s unique about your Anniversary celebrations are the daily challenges. Definitely builds the excitement and helps us PTI fans to celebrate with you. All the amazing design team inspiration! Hands down I love the Peonies!!!!! !But if we are talking about festivities themselves I LOVE the challenges. I only had enough time to do 2 but I started 2 more and I plan to finish them today. I just love a challenge, really gets me to thinking!!!!!!! Thank you so very much for all of it! My fav was looking each morning to see what new products were being revealed, & especially the beautiful samples from the design team!!! Kudos to you PTI for a wonderful anniversary release! My favorite parts of the anniversary celebration were the tiny town projects….they’re so cute and your designers have the most creative samples. I love to see what they come up with. My favorite part was all of the beautiful inspiration from the DT and the contest participants. The announcement of Dress Up Dolls – I’m so excited for this set! I was eager to get to my computer each morning! I can’t believe how many amazing products were included – the birds, bunnies and flowers are some of my favorites. I also like how the house can be made into a box. I better get my taxes done so I can reward myself with some PTI! I love the daily sneaks. They keep you anticipating until the night of the release! Beautiful products as always! The variety of the contests was great! Thanks so much for all the opportunities to win some of your amazing products. Happy Anniversary to you! Cheers. I loved seeing the creativity of the team and the creativity of the challenges. That it lasted so long lol! I really liked the added things, like the Easter egg hunt. I love all the challenges. Waiting to see the new goodies each morning! My favorite thing about the 9th Anniversary release are all the gorgeous ideas the talented design team comes up with. Loved waking up each morning and enjoying the new designs with a cup of Hot chocolate. Entering the contests for a chance to win was great as well. Seeing all the exciting new products, and the amazing inspiration from the design team!! I viewed the designers projects made with the new release everyday. Very talented ladies. These projects reminded me everyday that spring ⚘ is on its way, and that was my favorite part! I love the new product series reveal!!! This year I have my eye on SO many of them. The houses, the doodles, paper clippings, Maile’s frames… I am so so looking forward to seeing them each month in the upcoming year! Happy anniversary and thanks for the chance to win! My favorite part was the new Anniversary set. I never did earn enough reward points for last year’s set but I will be able to get this year’s set and I really love it. I loved all the challenges as it really helped me get up to date on my card making. Today is my favorite part! I cannot wait to place my order tonight! Everything…seriously I loved it all! My favourite part was seeing all the beautiful spring floral sets coming out. One can never have too many floral stamp sets! My favorite part is the way you reveal the new products and all the inspiration with it the same day. Discounts everyone loves a discount. Contest is a fun mix I think PTI has it all covered. Just the explosion of fabulous projects over the last 10 days. I always look forward to the countdown every month. It’s almost like Christmas. Thanks girls for all you hard work!!! My favorite part is every second of the release. I love the new sets, the DT creations, the sneak peeks… The anniversary set! Just everything!! Thank you for the discount for the anniversary release as well!!!! My favorite part of the celebrations is seeing what new products will be carried in the next year! The amount of new and creative products in this release is a feast! But my favorite part has been all the inspiration from the challenges. Oh, and having a sale – SO much to love! Happy Anniversary, Papertrey! My favorite part of the anniversary activities was the fun prompts for the cards. I especially loved the one that used the letters of your name, but they were all so unique and interesting. Definitely seeing all the gorgeous creations! Each day seemed better than the last! My favorite part of the release was seeing so many projects by Nichole and the design team. It was just awesome to sit down at my computer each morning with my coffee and feast my eyes on the new products and everybody’s lovely creations with them! Although I didn’t get to play along much…I enjoyed the daily challenges. I always looking forward to the 5th day of each month to see what new and exciting stamps and my absolute favourite part is seeing all the wonderful creations from all the talented and inspirational designers! Extra days of inspiration and the challenges. I’m always so amazed by the DT and I loved the variety of challenges this time. I’ve loved all the products and the samples. It seemed like a bonus with all the wonderful new items. I love every one of the samples and products. My favorite part is always the anniversary set reveal. I anxiously await it every year 🙂 as usual I was not disappointed! Definitely all of the beautiful nee products and projects ! I love to see the release reveal and all of the fantastic projects by the design team. The build up of excitement is palpable and I love it all! I loved starting my day with peeks of all the fun products! My favorite part of the festivities were the challenges – especially the Paper Crafting Alphabet challenge. I plan to use that print for inspiration for future cards! Happy 9th Anniversary!!!! I loved seeing all the gorgeous new projects! I always love seeing what new series there will be. But I’m especially smitten with the paper dolls and tiny houses. Oh it will be a fun crafting year!!! My favorite part is seeing all of the designs that your team comes up with. It is so exciting with all of the new stamps and dies. I am blown away with all of the creativity. Such a great Anniversary Release. THANK YOU for amazing contests, inspiration, and creative products. PTI rocks. I LOVED everything….but if I had to choose the BEST thing, it would have to be that the DT is staying together! THANK YOU for an amazing 2015! CAN’T WAIT to see all the wonderfulness you bring us in 2016. I have loved the creativity shared by the design team and all the contests can’t wait to see who wins everything tonight….and to place my order for all the new products. My favorite part of the anniversary festivities was seeing what the talented DT created. I look forward to this every year. Of course seeing all of your new products each day, the DT is just AMAZING. I did love all of the fun of the challenges too….off to mail my Warehouse Thank You card this morning! It was just a lot of FUN celebrating your 9 fabulous years,I came late to the Party but glad I have been here for that past few years! CONGRATULATIONS!!! My favorite part is seeing all the new products that will be showcased throughout the year. Love all of them just wish I could have them all. I always like the “egg hunt” every year and the new rewards set is to die for. Thanks. My favorite part of the whole week was all the contests. Loved each and every designer’s creative posts, but the long weeks’ contests were so much fun! Blended in with the release, and full of challenging whimsy, you kept us hopping. Loved it! Just the anticipation of the new products and projects each morning was my favorite part! It was a great anniversary release! I loved all of the inspiration from the whole team. I don’t know how to pick just one thing, but if I had to, it would be the new BE set by Heather. I also love the new posted II set and so many more! In addition to all of the great new products being released (Tiny Town is awesome), my favorite thing about this whole release party has been creating the challenges with my two daughters, ages 12 and 13. We have had so much fun and are so pleased, now, with our stack of cards that we have on hand. Thank you for being a part of creating our memories! I have been organizing my craft area, and this has been the first time I got to see if it all helped, and it did! I’m always inspired by the vision of the design team, and the projects they create. Many thanks, and congratulations on your 9th Anniversary. Here’s to the next 9 years! The challenges and games were inventive and sent the already exciting pastime of anticipating the new products right over the top. Thanks for a wonderful release process, kudos to the design team for their creative genius, and Happy Anniversary to PTI with wishes for much success in the future. My favorite part of the release would have to be the numerous posts from the DT ladies. I simply love seeing their work. They are all incredibly talented. My favorite part of the anniversary release was the Easter egg hunt and seeing all of the amazing cards and projects created by the design team. I also enjoy the release festivities spread out over ten days, instead of the sneak peaks for the first five days. Thank you so much. Love the new stencils. LOVE the new anniversary set, Painted Petals! LOVED all the games to jumpstart the ol’ mojo! Thanks PTI! My favorite part of the Anniversary festivities is waiting each day for the reveals and the DT creations. Love PTI! I love seeing all the beautiful examples the design team creates but I really liked the Paper Crafting Alphabet! What a clever, clever idea; one that I will use to kickstart my mojo when it needs it. So fun! As always, I love seeing the design team’s amazing projects, and that there are 10 days of inspiration instead of 5! Happy anniversary PTI! I liked the longer time frame of products and inspiration. I love anything 3-D…so the Dress Up Dolls and Tiny Town were my favorite! Happy Anniversary, Papertrey Ink! Happy 9th Anniversary PTI!! My favorite part of this years festivities has been the product reveals. Every morning I wake up and first thing I do is check the blog to see new products, new projects! My favourite part was the super fun challenges, undoubtedly! You came up with some real doozies this year. Unique and innovative – just like Papertrey Ink always is. I only discovered PTI accidentally 5 months ago and the 9th Anniversary was a real treat for me in every sense! Love your amazing collections to be released and all the super talented ladies work with them. Sorry, but Betsy, you have stolen my heart with all the Mini Town series! When are the Make it Market kits going to be available again?? I woke up earlier than normal every morning so that I would have time to enjoy perusing all the DT projects with a cup of coffee. I also thought the challenges were fun and although I didn’t have time to participate, I still plan to try a few!! Thanks PTI….just love your products and all the inspiration!! I love the design team’s creations! It’s so inspiring to see the beautiful projects. My favorite part is just seeing all the fabulous new product! I love new releases so much! My favourite part is usually the challenges, but I didn’t have the chance to make many cards this year so I was very happy to have the ‘buttons in the jar’ challenge. The series I’m most excited by is paper clippings. We are currently out of town for a couple weeks and I have really enjoyed seeing all the projects the team has been making. I feel like i can keep up with my “stamping” by watching the release of the new projects each day. I absolutely love your company!! My favorite part was seeing all of the beautiful products and wonderful ideas. I always try to think of how I can incorporate them into my own crafting. I suppose that is the point of the countdown. As always, I am so impressed with everything you offer and have been following along for all of the nine years. I have never been disappointed. Everything I have purchased has been top notch. Thank you for the continued inspiration. As with every year, my favorite part is waking up knowing that I have something fun waiting for me on my tablet that I can just sink into just for me. It’s sort of like that feeling you get as a kid on Christmas morning. And it lasts for 10 whole days!! I love the anticipation of each day, and seeing the amazing design team’s creations. You make everything spectacular! 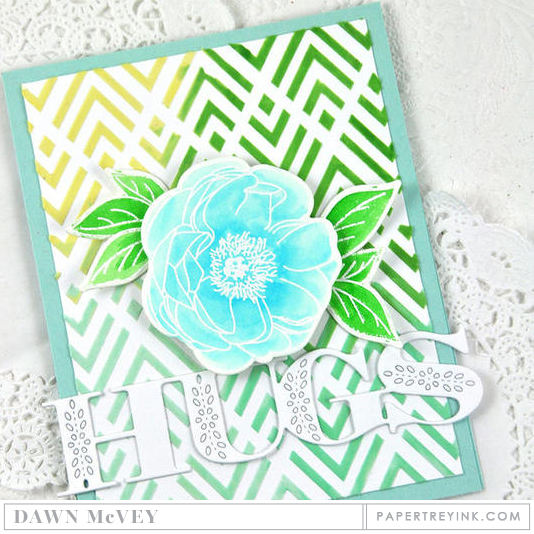 As Always…my favorite part of the festivities is the fabulous talented designers showing us all the fabulously inspirational projects they have come up with using the gorgeous stamps and dies! Such great work ladies, you pulled out all the stops! I love the challenges as well as the design team posts for 10 days. Yea PTI!!! Next to Stamp-A-Faire, PTI’s anniversary release is my favorite online stamping event. I look forward to viewing all the awesome projects revealed every day, as well as the fun challenges. I don’t always have time to create a project, however, I do try to comment each day. Happy 9th Anniversary, PTI – you all are the BEST! How can you pick one thing from an absolutely fabulous anniversary release. I can give you two. Seeing all of the wonderful new designs from the PTI team and the alphabet challenge. The anticipation! Couldn’t wait to see all the lovely new stamps, dies and any special new PTI items (like the stencils!). And now, the anticipation of the contest winners and there will be many! Yay, PTI, you are awesome!! 1. Seeing the daily pages for the planner. Oh, how I’ve missed those and I’m giddy for all of the other planner products. Want them all. 2. Seeing all the design team and stamp designers back. Love them all. 3. Challenges. Inspiring…motivating…and just plain fun! 4. Making a wish list. Oh, it’s fun to dream. 5. Tulips, Be, Tiny Town, Painted Petals, Betsy’s new kit. My shopping cart will be filled to the brim. Thankful for the annual discount . 6. Sharing the excitement with forum friends. 7. Blog hopping mornings with coffee. Smiling, oohing, aahing, and pinning. 8. Starting an instagram page and participating in some challenges. 9. Reveal day. Seeing everything. Making a list, checking it twice, thrice…okay all day. 10. Filling the cart. Getting that box to my craft table. My favorite part of the anniversary was the numerous challenges. My 8 year old daughter loved finding the eggs and helping with the fortune teller. I enjoyed doing some new techniques and reviving some I hadn’t done in a long time. Thanks for an amazing anniversary celebration! My favorite part of the festivities this anniversary was all the different challenges, I loved seeing everyone amazing creations! Always love seeing what the DT comes up with each month! My favorite part about the Anniversary festivities would have to be the challenges/games! My favorite was the Anniversary Egg Hunt. I love all the cards and samples you show us using the new products. you are all so talented. My favorite part is to hear about the sale! But those release days has been surprisingly excited as well! My favorite part of your anniversary celebration was all of the beautiful projects your team created! Each month I’m amazed at the creativity of the design team – this month we got 5 extra days of inspiration. My favorite part was enjoying the enthusiasm expressed by Nichole and staff for bringing great product to the stamping world. My favorite part of the anniversary festivities has been all of the gorgeous projects, both from the DT and those submitted by readers for the challenges. Such a wealth of inspiration! I loved all of the lovely creations, the thoughtful products and everyone’s excitement about PTI’s generous prizes. I loved using my small stash (as I was away from home) to play along with the challenge. Thank you PTI. I can’t say it enough. Happy Anniversary! I always like seeing all the different samples made. I really love the searching for… eggs, bunnies, etc. every year. I look forward to those posts!! My favorite part was seeing the new kit and the challenges. The crafting alphabet and the fortune teller look like they’d be a lot of fun. My favorite part was seeing the new products each day and the beautiful projects created by the design team. My favorite part was seeing all of the new series that are being introduced this month. My favorite part was seeing all the new offerings. Definitely look forward to the design team’s creations! Fabulous creativity! My favorite part was getting up every morning to check out the new products for the day and all the gorgeous samples from the DT!! Adore the new Anniversary set!! I love seeing all of the fresh inspiration from the design team…and seeing the Anniversary set, of course! My favorite part was looking at all the fabulous projects each day! Total eye candy! Each month I’m in awe of the designers work. In February I especially like to see the new monthly sets. I’m looking forward to the What the Doodle set. So much fun each February! My favorite part was the planner segment. Seeing the way the team used the new planner stamps was so inspiring! My favorite part is seeing all the design challenges. People are so creative and the colors were so vibrant in many of the entries this year. Gorgeous creations! My favorite part was ALL of it!always love seeing all the new products and projects. My favorite part is as always seeing the new releases and all the wonderful ideas that the design team shares with us. Oh it’s got to be just seeing so many days of beautiful creations from the team! Such a nice stretch of creativity to keep me oohing and ahhing! My favorite part of the anniversary celebration was the challenges! I had a great time making cards while enjoying the inspiration from aĺl the design team members. Everyday there was something inspirational! I love the new make it market kit! Papertrey ink is my first stamping love. My favorite parts are all the card challenges. My creativity tends to drop off in the middle of winter and the challenges always give me a bit of a spark to get something done! Thanks for all the fun! The anticipation is the best part – sort of like Christmas! I see something great and know that something greater is probably coming! My favorite part was the contest, and the chance of winning a gift certificate to get more papertrey stamps! My favorite part was seeing every! day so many beautiful ideas. Loved the diversity of the projects. I enjoyed watching the way the team used the stencils introduced for backgrounds. I need to learn to think outside the box. Also like the introduction of “splits.” I look forward to seeing more in that series. Loved the alphabet name card challenge and the anniversary set! Lots of beautiful sets this month! Such talent in this company!! I enjoy the excitement that each day of new product reveals brings and then hopping over to the forum to see what other PTI fans are excited about too! Loved it all! Favorite contest: button count (yes, i’m a button hoarder). Favorite release is what I call the empowerment set – BE. Favorite inspiration, well that would take way past the time limit to decide. Happy 9th Anniversary! I love the daily excitement! Looking forward each day to the next fabulous products. I was especially thrilled with the beautiful designs the design team made using the Anniversary set. Incredibly beautiful! I loved the inspiration & especially being able to participate without creating as I don’t have a blog! Can’t wait to get some new goodies to play with. The challenges. This variety was wonderful and it was fun to create without feeling as though the requirements were repetitive. My favorite part of the release has been enjoying the excellent and inspiring work of all of the designers! You all really get me excited about crafting and making cards every month, but this release has been exceptional! Every year I love the (Egg)-Hunt. Searching on everyones blog is so funny and meanwhile seeing the design team’s stunning creations! I also like the challenges. As with every release, the daily, extremely generous, opportunities to win. I always look forward to seeing the new creative things the team does. I have to admit that my favorite part of the anniversary release is hunting for the eggs. It causes me to check out each page and I enjoy it. My favorite part is visiting each design teams blog each day to see what amazing creations they’ve made and the inspiration they provide. I also like the daily challenges and the Stamp A Faire theme announcement. My favorite part? The tulips! The bunnies! The contests! Actually, it’s just so nice to have 10 days of anticipation and something to look forward to in the midst of a cold, snowy February. Thanks, Papertrey Ink! Happy Anniversary and here’s to many more! All the wonderful projects on your design team’s blog–they were all so creative and loved being encouraged to visit their blogs! Congratulations PTI on your 9th Anniversary! My favorite part is the feeling that spring has arrived with all the new products. Thank you DT for sharing your talent with us. I always look forward to PTI’s anniversary celebrations! I love seeing the new products, the lovely inspiration & the mix of fun contests. My favorite part is seeing the reveal of the new series for the upcoming year & who is designing them. PTI is blessed to have a group of such talented design team members! I loved seeing what each team member created. So cool and fun!!! My favorite part of this year’s anniversary was anticipating what was to be revealed each day and reading Nichole’s blog. My favorite part was the new anniversary set! It’s so pretty and can be used for so many occasions. I also love seeing all the DT’s projects..so much inspiration!! My favorite part was all the amazing giveaways you offered! I always love seeing the various projects the design team creates. Just lovely and so inspiring. I know it must be a stamping marathon for them, but we so love the results! Thank you for another amazing reveal and anniversary. My favorite part has to be the new tiny towns release by Betsy. Every month I anticipated the new petite places set and would show my girls (ages 10 and 12) the new set that was being released. It was like our thing. So I’m glad I’ll be continuing that tradition (though I get the feeling, by their eye rolls as times, that my girls aren’t as excited as I am). Can’t wait! The new mini market kit looks fantastic! My favorite part of the anniversary celebration was all the inspiration with the amazing new floral sets. Peonies on Parade and Tulip Time are simply stunning!! Wow, what a huge release! My favorite part was the creativeness of the team. Even the contests/challenges were creative! Thanks for a great release! I love seeing the new product line introductions and all of the wonderful inspiration from the design team! They are the best! The challenges are fun too! Happy Anniversary PTI! My favorite part of the festivities was seeing all the creations from everyone on the design team. It is always so nice to see the different items made! My favorite part was all the different challenges and seeing all the different ideas people came up with. As always the design team’s beautiful projects were my favorite. However since I am obsessed with dies and stencils, those were also at the top of my list. Great anniversary release! Hard to decide but I’m going with a SALE to be able to buy even more goodies today. The anniversary set is a close second!!! Always love to see the new anniversary set! That’s my favorite part. My favorite part was not only seeing the new products but all the cards the design team created. This always gives great ideas on using the products. Definitely my favorite part is seeing all the sample projects. I am always amazed at the versatility of the products. I get so many ideas! Now I just have to wait for products so I can get to work. I’d be lying if I didn’t say what I most look forward to each year is the opportunity to extend my limited budget with your anniversary discount. That said, Tulip Time was my favorite release… I love the real look and the layered stamping that makes coloring a no brainer. 🙂 It was fun how you varied the games, too. Congrats, again – Can’t wait til you hit the big 10!! My favourite part is seeing how a set can be used in many different ways. the inspiration – looking at the projects helps me find new ways to use past products while I look forward to the new goodies I can buy. Thanks for 10 days of such amazing inspiration by the design team – definitely their ideas were my favorite part. I wasn’t able to participate in the challenges due to a family emergency, but I took the time every day to check out the new products and the pretty samples. It gave me a great distraction from the hospital visits and was looking forward to it every day. Thank you! The first thing I did each day during the festivities was grab my tablet to see what the announcements were and what products were being released! That was my favorite part! I love how fresh all the designs are, just perfect for spring and Easter! The design teams’ designs have me full of excitement to get my hands on everything and start creating! Thank you Papertrey Ink! My favorite part was seeing all the samples from DT. I enjoyed all the challenges very much. Such a great release. I love all of the work of the design team. Great inspiration and especially love the frames and Savior. Looking forward to seeing more. Thanks for the opportunity to win. My favourite part was seeing the new products and the inventive and creative ways the DT was using them. My favorite part…ALL of it!!! This month’s projects were simply amazing! Thank you for all of the beautiful inspirations. I can’t wait to place my order today! My favorite part is seeing the the projects created by your fabulous design team. Each month you blow me away with your creativity. Thank you for all the inspiration. My favorite part is seeing the creative ways the DT uses the products. So creative and inspiring! Tiny town is going to be a fun series to watch this year as we see what else is added to the set of buildings. It is really unbelievable how much gorgeous things have been designed by everyone! If I have to pick one favorite it would be the Spring Woods. I love birds and I can’t wait to start making cards with this. Truly, I have loved everything released this month! My favorite part is waking up early to see what new goodies are in store for the day! I check my phone as soon as I wake up! I also adore the anniversary set! The PTI Anniversary is always so special but in addition to all the new goodies and anniversary set, I love all the challenges! I wish we had more challenges like this every month! It is so inspiring to see what everyone does and the ideas just seem to flow! Thank you so much for all the inspiration PTI! My favorite part was seeing the new releases and the way the DT turned them into works of art. My favorite part was all of the fun challenges. Congrats on 9 years! My favorite part of this anniversary celebration was the challenges. It made for a fun week of crafting! I liked that the challenges were all so unique causing me to push my creativity! I love so many of the new sets and seeing such inspiring ideas from the creative team. Great job! My fav part was celebrating with all of you. I’ve truly enjoyed the amazing team and all the heartfelt projects they created. It’s been a great year! Cheers to many more. I loved sharing PTI with some new friends and family just starting to craft! They are excited about the contests and will have so much fun with PTI! I also love all of the amazing new products! PTI never fails to impress, and the ideas coming this year are better than ever! The challenges are always my favorite because they are always so different and fun! Of course the inspiration is always amazing! I absolutely loved the alphabet contest! The idea is so amazing. While I wasn’t able to participate, I’ve flagged the list and plan to add it to my craftroom wall as an inspiration starter! Such a great idea. Thanks for sharing!! My favorite part is all the inspiration that you and the DT provided these past few days! You are all awesome! My favorite part about the annual Anniversary February release is the anticipated discount percentage for the number of years of the anniversary. I was so looking forward to the 9% discount, what a bummer if it doesn’t happen. Hoping I will be surprised or I win a prize. Love the anniversary floral set! My favourite part is seeing the new products and the amazing creations by the design team! 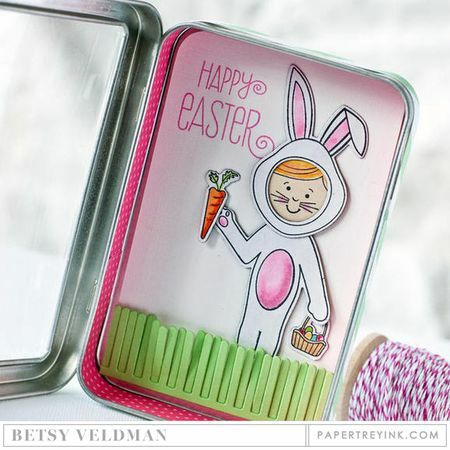 I loved looking at all of the creative design projects from the DT, espesially Betsy Veldman’s new mini kit. I am also excited to use the 9% discount tonight! My favorite part was seeing all the new products and examples. Very excited about a lot of these new products! My favorite part was seeing all the beautiful cards by the design team made with the new products. Every morning I would go check out the new cards and be that much more excited for release night! Now that it’s here, I can’t wait to get my hands on all the amazing goodies the design team has been showcasing! My favorite thing was getting acquainted with all the new designs and anticipating the anniversary festivities! Seeing all the new products & what each designer did with them. Also the egg hunt. i was completely blown away by how many (and the variety) design team projects were available. they all made projects in their signature styles and showed just how versatile the products are. WOW! i also really enjoyed being active on the message board and feeling the excitement along with fellow PTI fans! My favorite part of the anniversary release were the densign teams projects, esp the tiny house/church sets. I really want those stamps and dies. The anticipation of new things everyday is always my favorite thing about release time,but your creativity of all the challenges was especially fun.beautiful release,Happy Anniversary! My favorite part was the Easter egg hunt, what a special treat! My favorite part of the release has been all of the beautiful samples! I love seeing how multiple designers use the new products in such different and creative ways! It is so inspirational for my own paper crafting!!! I loved seeing the ideas and great new products-but my guilty pleasure was the daily challenges. Thanks to all the PTI team for all you do. My fav? Nichole’s posts. Especially during PTrey Anniversary, she spends a bit more time writing about the past and connecting it to the present. It’s such a great re-affirmation of a solid business plan. The products and design team are amazing and I’m giddy about the release. However, I’m still super impressed with the creativity and business saavy of Nichole, Jane, and Julie. Congratulations and best wishes for many more successful years! The new products and the ideas the DT came up with. Everyone is so creative. My favorite part of the anniversary activities was waking up each morning to see the new products and DT examples. So fun! I’m going to miss it come tomorrow! My favorite part is seeing the terrific new ways the designers use the sets. I’m blown away each day by the creativity of the team. I’m so glad all of my favorite designers will be staying with PTI this year! Hooray! And thank you! My favorite part is seeing the variety of creative projects made with your wonderful new products. I also enjoyed the contests. I enjoyed the variety of challenges. I also liked the DT projects with all the fantastic new products. I love it all!! I love the new products, the new designs, the games. So much fun!! Loved seeing what’s new but the alphabet challenge was a great idea! I love all of the new items introduced, all the give- aways and THE ANNIVERSARY SET. My favorite part was how long it was! It was nice to have a few extra days added to the release this month. I love the idea of using a piece of clothing for a card idea! I find myself finding color combos in all kinds of things as I move though my day! I love seeing all the new designs and ideas! It’s part of my morning routine to drink a cup of coffee while looking at the papertreyink.com I love it all and I am looking forward to many more wonderful years of PTI products. Happy Anniversary PTI. Anticipation of the new products and looking at the design teams inspiring creations. Just the excitement of looking forward to what each day would bring! It was so fun! And all the creative contest ideas were great. Thanks for a fun last 10 days and I look forward to what the rest of 2016 will bring! My favorite part was all the amazing ideas that were posted each day! I loved seeing the new products and ideas that go along with them. My favorite part was looking at all the great creative projects from the DT. They were so inspirational and beautiful! Can’t wait for this release! All of the lovely designs… So much colorful Spring inspiration in a dreary, snow-filled month. I love the egg hunt. I look forward to it every year. And the anniversary stamp set, this year’s set is beautiful. I loved all the fun challenges! And I always enjoy the egg hunt!! Happy anniversary- congratulations on continuing to grow! PTI anniversary time is just as exciting as Christmas morning!!! It’s so much fun to see all the new products each morning and all of the gorgeous DT projects. Thanks PTI for another great anniversary celebration and for continuing to offer such great products and amazing customer service. I love seeing all the new ideas of cards and the papertry planner books pages that are coming out. My favorite part of the anniversary festivities was the sharing of so much inspiration, reminding me why I love papercrafting so much. I saw so many different points of view and ideas outside my comfort zone that got me thinking and expanding my project lists. Great job from everyone! My fav is seeing all the wonderful projects the design team comes up with. The DT are all so talented. I am impressed. The little games are fun, but the projects always catch my attention! I loved that Papertrey is starting to carry Stencils! And the new Make it Market Kit. Love it all! My favorite part is having the extra days of product reveals and all the fabulous projects that the design team comes up with! I look forward to all those days of eye candy! I love looking at the beautiful spring colors on the designers awesome projects. The forum chit chat is fun too. Anniversary Time is Awesome! My favorite part of this year’s anniversary was the “Alphabet Challenge” and “Fortune Teller Challenge”. I always enjoy seeing the amazing post from each design team member too. My favorite thing is getting up every day, and seeing all the beautiful creations from the design team. I think this is the best release, yet, and I am in trouble! Where do I begin? I always love the new releases and I am always astounded by the beautiful talents of the ladies. I’m so excited for your team and company for 9 years! I can tell that everyone at PTI loves to create and share with us! Thank you for the chance to win!CONGRATULATIONS!! The anticipation to see what is going to be revealed each day is always so much fun. And I really enjoy browsing through all of the beautiful creations that everyone shares. So much talent and inspiration! Thank you for another 10 days of fun to brighten my February! The contests were my favorite! Although I must say that everything is my favorite. First thing in the new day was to grab my computer to see what beautiful things were created! Congrats on 9 years ! My favorite part is the challenges and if there will be any new designers. I like checking their blogs and seeing if it is someone new to discover. New Release and how to use them. Contests are so fun! I loved the extra long reveal. 10 days of pure bliss! I am so excited about many of the new products being introduced, especially the dolls, the bigger houses, and the stencils. Betsy’s new mini market kit is fantastic too! I loved all the contests! I love seeing what the other crafters make and am inspired by their creativity! Loved getting up every morning to see what treasures you came up with. And I love the new anniversary set. Favorite part is just clicking through all the DT projects! Their talent is beautiful and such fun to look at! My favorite part was the anticipation of what the next day would bring ! It’s fun to know that on an anniversary month you get 10 days of reveals instead of 5 ! It was another fun filled reveal and I can’t wait to get my new crafty supplies !!! Happy 9th Anniversary PTI ! I liked the challenges/contests. I’m not lucky and also wasn’t able to play along with the challenges but I really enjoyed seeing all the entries. The more ideas I see for a set, the easier it is for me to buy it and use it. It was such a fun anniversary release, I love all the new spring/easter fun card and project ideas, especially the tiny town easter bastet Betsy created. Counting buttons was fun, the color wheel was hilarious, apparently I’m folding challenged and didn’t know it, but my favorite was finding the easter eggs. Thanks for all your hard work to give us such a great release, I’m excited to finally get to start ordering, lol. The timing! I love seeing all the spring products that remind me that the end of winter is near! My favorite part was all the fabulous projects! More than double the usual, I’m sure. What a release! Happy anniversary PTI! I always enjoy the egg hunt and of course all the new products. My favorite parts are seeing what the new products are and what the designers do with them, and then the full reveal. As always I enjoy the cards and projects the design team put forward and all the creativity. Always fun to get lost on the website viewing it all and taking it in.! Thanks Nicole and Design Team. My favorite part was just all of the amazing projects! PTI has by far the best design team around! There is always so much inspiration and so many different takes on upcoming products! Thats a hard one I had so much fun this time. I would have to say the printable color game , I think I will be using that a few times . As far as products I am so excited about the new Tiny Town buildings and tulips! Thanks for a fun celebration! Aside from seeing all the incredible projects, my favorite is the annual egg hunt; it’s always fun. I quite enjoyed the “how many buttons in the jar” contest, as well. I have loved waking up every morning to so many new products and projects! What a great release this has been and I look forward to another wonderful year! My favorite part (which is difficult to choose just one) would have to be seeing all the beautiful and inspiring designs! My favorite part of the anniversary celebration has been the amazing creativity of both the released items and the samples created by the design team, and racing to see what was new each of 10 days instead of 5! My favorite part was seeing all the wonderful projects the design team made. They were all so beautiful and inspiring! I enjoyed all of the contests/challenges! PTI has always had great products, and so fun to see all of the creations of the Design Team! I just love seeing so many new products and this year’s series of stamps and all of the beautiful projects! Thank you, Papertrey Ink! My favorite part of the Anniversary festivities was the introduction of TinyTown and all the designers examples. I hope I can do this set justice! I’m equally excited to learn that all of the designers are coming back for another year! Yay! Happy 9th, PTI! I loved having the opportunity to ‘force’ myself into some creative time. I also loved seeing all the beautiful inspiration that the DT ladies provide – always a jump start for my creativity! Thank you for a fun week, and congrats on 9 years. I hope there are many more to come! I loved ALL the challenges that gave everyone a chance to win a FANTASTIC prize…. I especially loved the Alphabet sheet…. I’m plan to use it in one of my card classes! What a cute idea. As for the month’s items… too many to count on my wish list,,,,,,,,,,, but I’m crazy about TULIPS!!! My favorite part is all the great products! It’s amazing how you are still coming up with new and creative products I want to purchase. My list just keeps growing. I only wish my craft budget could keep pace. Great job again and Happy Anniversary! Seeing all of the talented work from your team it is very inspirational. Every day the first thing I did was check Nichole’s blog to see what her new intro was. I love seeing the new series and how the Design Team uses them. This year I loved Tiny Town and Dress Up Dolls. The DT outdid themselves and I saw lovely cards and really creative ideas for using the new products. My favorite thing about the anniversary celebration was the fun contests: the egg hunt, guess how many buttons, the Color Pop Fortune Teller. Happy, Happy 9th Anniversary – and many more to come!! I love seeing all of the new released goodies. I also love the challenges and excitement that go with the release. My favorite is Betsy’s Make it Market, although, it will be a hard choice when placing my order tonight! Loved everything! My favorite part was clicking on each design team member’s blog each day to view all of the amazingly creative projects. The year’s anniversary set, Painted Petals, is by far my favorite product of the release. My favorite part was the first day. Knowing that I had 10 days of fun announcements, new products, and challenges ahead. I liked that the first day had info on each member of the DT. I enjoyed slowly reading through them. All of the contests and challenges were fun! It’s hard to pick a favorite. I enjoyed seeing all of the beautiful cards and projects created by the design team. It is so inspiring to see all the different ways you can use the stamps and dies. It’s really difficult to choose what to get. I would love to have it all but unfortunately that is not in my budget. Thanks for a fun and inspiring week! As with every release, I love the project designs and the variety of styles that your team represents. I can always find something to help inspire my own creativity – and I find many projects that I just want to CASE! My favorite part was the release reveal. Loved most of the new products. I loved seeing all the new products and the fabulous creations the DT did, but my favorite party was searching for Easter eggs. The contests were so much fun and creative. I was out of town for some, but will keep the inspiration for another time! Such a beautiful Spring release! My favorite part (as always) was – ta da! – the reveal!! I love seeing the creative designs the team comes up with. Seeing all the beautiful creations. Everyone is so creative! They egg hunt was so unique! The button jar was also a fun addition. Everything is so charming! My favorite part is always seeing the lovely cards and projects that the DT comes up with. Still exciting after all these years. My favorite part was the same as always, opening PTIs blog at 7 a.m. each morning and seeing all the new goodies. So many wonderful surprises, it was almost as exciting as Christmas morning!! My favourite part of these anniversary festivities was certainly looking for all those Easter eggs. It was so funny! And I loved also the release post about the “TINY TOWN SERIES”! All the creations were AMAZING!!!! It’s really hard to pick just one thing, but I’d have to say the daily challenges. I especially liked the alphabet challenge! Happy 9th PTI! I loved having a chance to win a PTI prize every day! All the contests throughout the anniversary festivities have been so much fun. My favourite part of the anniversary festivities this year was the sharing of creativity that we customers got to participate in with all the challenges. 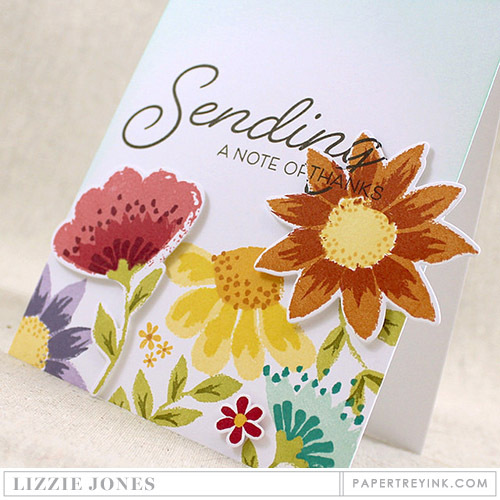 It’s fun to get inspired by the team and the new products, and to see what other stampers have been inspired to create. It`s a great thing to be part of! The release of Tulip Time is right up there as I’ve been wishing for multi-step tulips. The different challenges are always fun to see too. I rarely post my cards, but I like the push in a different direction that comes from the challenge. I love the anniversary sets that come out, each year. My previous ones are “well loved”. I’m sure this one will be, as well. I love everything about the anniversary! The anticipation of all the new stuff every morning, all the new products and designs to look at. And especially the excitement of the contests! Can’t wait to see if I’ve won anything! The new sets revealed each day and seeing so many cards from each design team member. They are all so talented and give me so much inspiration. Ooh all the different beautiful projects and beautiful new products! PTI just keeps making more and more wonderful things for cardmakers and papercrafters! Thank you for another great release! I adore the Everyday Symbols stamps. I have just just started using a planner. I cannot wait for the stamps to arrive so I can start using them! My favorite part of the anniversary festivities is simply celebrating the PTI family as a whole! Seeing all the hard work from the PTI crew and seeing all the fun projects from us, the fans, has been so much creativity and inspiration! I look forward to another new year of renewed excitement for paper crafting! Thank you for all the incredible chances to win money or supplies from PTI! Happy Anniversary PTI – 9 wonderful years so far – well done! Hard to list one favorite part. I just love all the creativity that PT offers and I liked how the countdown began earlier. Sometimes its hard to wait till the 10th. I also loved all the opportunities to win and you def have some great prizes. Happy 9th!!! My favourite part of the Anniversary celebrations is having ‘TEN’ mornings of anticipation and excitement to see the design team inspiration and the fun challenges offered. I would count this year a fabulous success on all counts! I have to say the products and the projects the DT made were definitely a highlight but the challenges really were awesome. I love the different unique challenges and thought what a great way to encourage creativity! I love the fun challenges, the cool new products, and excitement. I just can’t narrow it down to one thing. It’s one of my favorite parts of the year! I love all of the excitement that Your Anniversary celebration brings… The beautiful creations of the amazing design team, all of the new products, the contest, and the anticipation of the Anniversary stamp set! Happy Anniversary PTI!!!! My favorite part is the creative challenges! I participated in each one, they are so fun! Happy Anniversary PTI! Besides all the fantastic new products-my favorite part of these festivities has been the fun challenges!!! All the new releases and series, beautiful DT projects, and challenge inspirations! Oh, and of course the contests. All so fun! I’m a big fan of the petite places. So i really liked the day you announced what Betsy had for us in store now. The “bigger” houses. I just love love that. This was an Amazing release!! The staff and DT has really outdone themselves. I loved all the challenges!! Thanks for a wonderful release and here is to another great year!! That’s an unfair question. I love everything about the Anniversary time. I love seeing all of the new products and the gorgeous posts from the design team. I especially love being stretched in new ways with the challenges! I love waking up every morning for the past 10 days and running to my computer to check on the surprises! Congratulations on your 9th anniversary! So many answers to this question. I guess the anticipation each morning as to what will be new and exciting, thinking about it during the day, and then knowing that tomorrow will bring something new and exciting to ponder. One of my favorites is seeing that we have the same DT. These ladies are just the best and have so much to share and make every month fun. Waking up each morning and having my coffee with each of them is like being with family! Of course, the new releases are nothing but awesome, and knowing that this is the start of another fantastic year. On suggestion, Nichole, I miss you posting your cards during this release. I love what you do and missed your sharing. I just love seeing all the new products and how the designers are using them. So inspiring! My favorite part is seeing the DT’s creations. They are so beautiful and inspiring. Happy anniversary, PTI. My favorite thing was spending each morning perusing all the new ideas. I can’t wait to order a few of the sets that I decided I just can’t live without. Thanks for such a fun release! The first thing I did for the last 10 days was get on your web site to check out the new products. I enjoyed seeing all the creations. The contests were also fun. Can’t wait until tonight. My favorite part was the challenges . I also love all the projects from your awesome design team. They always give me so much inspiration. I love PTI! You have very talented gals!! I love the fact this is your ninth year, long standing company!! I also love the discounted stamp sets, Anniversary set. The prizes and challenges are great too! Thank you and the whole PTI family, you rock!! My favorite part was the day that the designers selected their favorite card from the past year and gave us a little insight into why they love working for PTI. my favorite part of the anniversary celebration is always the egg hunt! so much fun search for the eggs and seeing all the beautiful projects! I loved looking at all the new ideas each day. It was so inspiring! I am I love with the new village ideas. I can’t wait to make the new church. My favourite part of the Anniversary festivities is seeing the creativity of the DT using the new products, as well as the people behind the scenes who come up with the products in the first place! My favorite part was seeing all the amazing project the DT came up with. I love seeing the new products in action so that when I get them I already have a few ideas for things to make with them. I love that the projects started on the 5th so we had even more days to look at all of the wonderful projects. My favorite part was having five more days of inspiration from the design team! I loved all the additional challenges…they really inspired me to pull out my PTI sets and try different things. I played along with three challenges in one week which is great inspiration to keep crafting often even when life gets busy. My favorite part of the festivities was seeing all of the DT’s fabulous creations. They never disappoint and I love how each and every project is so different and unique. Thanks for sharing and the chance to win! My favorite part was the introduction of the new products and the beautiful creative projects from the design team. All that creative inspiration and beauty was a wonderful start to my mornings. Happy 9th Anniversary PTI! I enjoyed the extra days of inspiration we received this month! The design team, as usual, knocked it out of the park! Also love the new anniversary stamp set! Happy dance! Just noticed the discount!!! My favorite part was the daily challenges – really got the juices flowing. The amazing Design Team designs cards that makes me want it ALL! Seeing the new series and wondering if I can wait till all are revealed. PTI is the best! The fun, games, & contests! This will be a memorable anniversary release for me! Thanks for all of it! My favorite was the buttons contest, and I would add now also the 9% discount! as ALWAYS, my favorite thing is the design team’s fabulous projects – such inspiration! I loved all the challenges and seeing the amazing ideas from the amazing design team! My favorite part was seeing all the amazing and beautiful projects by design team!!! The announcement that there is now a Tiny Town series was my favorite part of this release!! Excited and looking forward to seeing Tiny Town in all its splendor!! I absolutely love the challenges! It gets my Mojo going, and I’m saving the fortune teller thingy to use again! Here’s to another exciting year ahead!! My favorite part is every day! I love the anticipation of each sneak peek and the overflowing of DT genius! Happy 9th!! My favorite was the product releases..love the stencils! I love seeing all the design teams creations. Each has their own individual style, and it amazes me how each set becomes different for each artist. My favorite things of this release were the color fortune teller and the paper crafting alphabet. I have my own style as well, but often find myself in a rut. These have inspired me tremendously! My favorite part was each day seeing the new releases and the wonderful samples made by the DS girls. Such talent and inspiration! how to choose a single favorite…. I always love all of the new products. They really seem to jumpstart my creativity, particularly in conjunction with the challenges. I love the exciting new announcements, and just the general feel of excitement and anticipation that the entire DT is so good at cultivating. Thank you for a wonderful release and so many chances to win! The inspiration from the DTs is my favorite part of the festivity. I looked forward to each day’s post and browsing through the DT’s work of art to see new ideas and fresh colors. Thanks for all you do PTI!! My favorite part of the release and all releases is to see the cards and projects made by your team. I go through each and every one of their sites each day to see what they’ve come up with. I love your anniversary set this year! My favorite part of the anniversary celebration was seeing all the new designs. My not so favorite part will be deciding what to buy! My favorite part was seeing all the wonderful creations by the design team! Fabulous release!!! I loved all of the challenges that gave me a good starting point to get back into card making. I loved all of of the designs and new products that each of the DT came up with this month. I’ve loved all the inspiration both from the new products and the projects created with them along with the challenges! I’ve been fighting a cold, but the festivities have kept me feeling upbeat and inspired! Spring Woods is my favorite part of this release! Can’t wait to try stamping those cute little birds! I loved the flower sets released this year. The anniversary set is one of best ever I think you have done! Of course a lot of really beautiful cover plates are released as well making so hard to pick and choose! I love all the inspiration. The anniversary event seems to really ignite the creativity of the design team – all the exuberance and excitement is contagious. My favourite part was admiring the gorgeous and creative masterpieces everyone made. I truly don’t know how these women come up with such creative and beautiful things every month. They are truly inspiring! My favorite part is seeing all of the beautiful artwork!! I love all of the inspiration and games! Thanks so much! My favorite part of the Anniversary Release? Oh gosh – everything! From the design team’s gorgeous projects, new products, the challenges, the opportunities to win, the anniversary discount and the chance to win a whole year of new stamps. I look forward to each release and am never disappointed. PTI is the best!! The stencils. No wait, the Moments Inked products. No wait, all the beautiful creations. No wait….. I love everything about the anniversary celebration. Happy 9th Anniversary PTI! My favourite part is always to go visit your incredible team of designers and see their creations. This just makes my days during the countdown periods! I love everything flourishes and nature and there is lots to choose from this time. I think my favourite are those Spring birds and papers. Thanks so much PTI. The projects were my favorite part. Especially seeing some of the “out of the box” uses of the stamps/dies. My favourite part was knowing this release reveal was longer than usual and full of surprises. Enjoyed the egg hunt the most! I’ve enjoyed seeing all of the ways the DT have made such beautiful projects so different from the next with the same products. Well done!!! My favorite part was the challenges and as always, the DT samples. They really sell the products with their creativity. I always love the full reveal of the release. I also love that stencils have been added. It was so much fun to have everyday different challenge! And could see beautiful colorful cards that DT and other applicants made! Simple as it may be, my favorite part was guessing how many buttons are in the jar! Great release as always and beautiful projects by everyone! I enjoy the release of new stamps, dies and accessories along with the samples made by the Design Team….and I enjoy the challenges. Contests aren’t bad too! It’s hard to choose. Love this release! I really liked doing the Fortune Teller Color Challenge, as it got my son involved crafting with me! He was excited to have a decision in what colors I used because he figured the teller out. My favorite part was the anticipation of what was coming next each day! And even though I haven’t had time to play with the challenges this year, I love seeing what they will be & storing them away for a later time when I need a challenge! So hard to decide…I loved it all..I always look forward to the anniversary stamp set…this years is beautiful! I truly think that this is the hardest time ever to chose ONE favorite…. I really have SO MANY on this list this release. But that being said, the hardest one for me to wait to get my hands on, is the tiny town church and of course the basics and shingles to go with it… I really think of it as one. Amy Sheffer’s (sorry if mis-spelled) “prayer box”. . is priceless to me!! having just gone through cancer surgery myself and too many of my friends, going through tough times too… I really HAVE TO find it in my budget to buy these.. ..It will probably be my most gone to set..Thank you All for all you do. . .it is my most “Looking forward to event” of each month!! You all are AWESOME!!! Certainly the BEST in the industry!! Thank you from the bottom of my heart for all your inspiration!! My favorite part was seeing all of the wonderful and inspiring ways the design team has used all the new products. I am so excited about the paper dolls!!! Every year we travel in February which almost always keeps me from entering any of your card making contests. I look forward to meeting and reading more about your fantastic team each year – you have some of my favorites on your team. Thank you for the 9% discount and all the give aways. Oh, the tiny town dies….can you say putz houses! My favourite, loving all the inspiration for the goodies I’m going to order! I loved all the contest where we had to count buttons or find eggs! Thank you for all of the fun contests. The DT gals came up with beautiful projects as well. I love looking at all of their designs and the colors this release are fabulous. I loved all the new products and the contests. I saw so much wonderful inspiration to keep me busy for a while. I always love seeing the inspiration from the design team. Every day that is a treat! Along with all the new products. I’m most excited about the new Tiny Town series, and I love all the contests you did. Thanks for the fun! I loved seeing all the happy spring projects. The painted flowers set is a favorite. Happy 9th!! I always love the egg hunt, but my favorite part is the daily design team project display! I appreciate the time and hard work it took, but I love seeing so much inspiration on a daily basis! Thank you, ladies! I always enjoy seeing all the inspiration from the team. Also seeing the new 2016 stamp set Peonies on Parade is beautiful. Congratulations on a wonderful 9 years! My favorite thing is always the fun contests and the beautiful inspiration from the entire team! It’s been a great 10 days! I absolutely love all the new flower sets. The design team made such gorgeous projects with them. My favorite part is all the amazing creations the team comes up with. The creativity just blows me away! You ladies are the best! What I liked the best was the fact that I can see the whole stamp set and die on the day it was introduced. On the 5th to 9th we only see one stamp. I like being able to see all the stamps from that particular stamp set. It draws me into wanting to see what beautiful cards the design team will create and it also allows me to do the same. I can plan ahead on what other PTI sets I can coordinate with the new set. El encontrar nuevos diseños y productos cada día. El estilo y el uso del color que cada una de ustedes tiene hacen a un mismo material muy versátil. Y por supuesto espero ganar uno de sus premios! I always love the daily challenges. This week it just didn’t work out time wise to get anything done, but I think that is a fun addition to your release week!! I loved seen all the ideas from the design team. Happy 9th anniversary PTI!!! Yay for release day! My favorite part was seeing all the amazing creations from the DT and playing in the scavenger hunt. Happy Anniversary! I really enjoyed seeing the new lovely products that were featured each day’s and drooling over the beautiful creations of the design team. The best part of any release is all the wonderful inspiration posts! 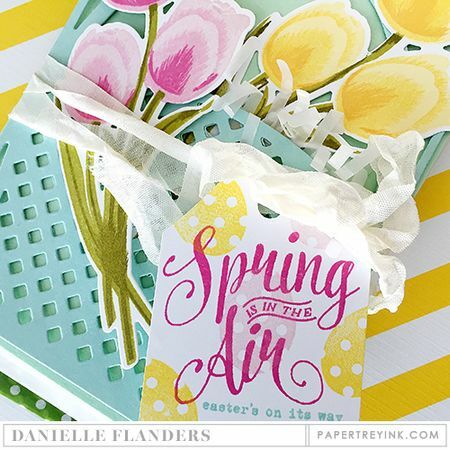 But the products in this release that I’m most excited for are the new ink color, the awesome layering stencils, the Spring Woods products and Tulip Time. My favorite challenge for this release is probably a tie between the Color Pop Fortune Teller and the Paper Crafting Alphabet; both were really clever ideas and made the challenges extra fun. 🙂 Happy Birthday, PTI! I am amazed at the scope and beauty of everything revealed. Wonderful and tremendous are words that come to mind. I have had a jar full of fun. Thanks! Can I just say everything? Ok…if I have to choose one thing it would have to be the paper dolls. I can’t wait to make them for my granddaughter! I love participating in all the challenges! Love all of the new cards I have made this week! Congratulations on your 9th Anniversary! My favorite part was the easter egg hunt; so much fun. Of course,seeing all the new product is always exciting. I just love the new Anniversary set. So glad I kept my points. Always enjoy the year long series ideas. I am hooked already. I love that it has challenge everyday, I was looking forward every morning to see what is the challenge so I could get into my craft room to make my card for the day, some of them are so very fun, I truly enjoy celebrating PTI’s 9th birthday with all, thanks for the wonderful products and inspiration the last 9 years! My favorite part was seeing the amazing design team’s creations. Having another chance to build on my stamp collection before they go to the vault. I’ve been waiting for two months for this! So many unique products this year but my top pick of the festivities would be the addition of the daily challenges, which made it more interactive. fabulous creations of the design team. I loved all the stamps and dies and the creativity of the team. I also liked all the challenges you had. I did not have the time to enter any of them but I have friends that entered all of them. It was so exciting to read thei blogs and see what they did for them. Now if I see one of their names on the WINNERS page I will be even more excited. My favorite part were/are the dress up dolls and I must admit I am already looking forward to the next months for more and more additions. Such a very cool idea!! Second favorite the tulips, they are gorgeous! I am most excited about collecting Tiny Town this year! Waking up to see all the glorious inspiration from the design team has been such a treat. I can’t wait to start crafting with everything you’ve shown! I always love the anticipation of each days sneak peeks and the fun contests. The sad part is my work schedule doesn’t allow me time to play along. But, it’s fun to see others creations just the same. I LOVE the 2016 Anniversary set! Love all the contest and of course all the inspiration! I did not have time to participate in the contests, but I loved seeing all of the great creativity from both the design team and all of the fellow stampers out there! 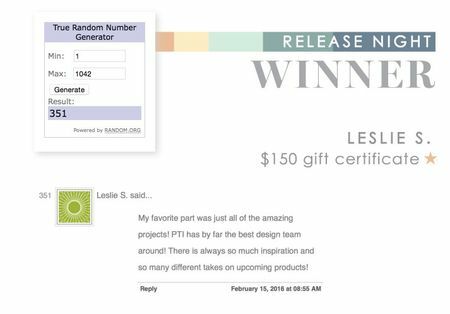 I love PTI products (and so do the recipients of my cards and paper creations!) and look forward to new products and ideas for years to come!!! My favorite part was getting to see all of the project samples. It is awesome to see so many possiblities, these ladies are amazing! My favorite part of the anniversary festivities is, of course, the 9% off our orders this month. And I love the birds and tulips! Can’t wait to make my Easter cards. Please keep on bringing us two- and three-step stamps. So gorgeous! All the new products and the beautiful inspiration showing them in use! Really enjoyed celebrating your anniversary with you! So much excitement and fun! Appreciate the discount too! I always love the scavenger hunt! and of course seeing all the great projects from the design team! My favorite part was seeing the card samples from all the team. I loved the challenges even if I didn’t participate. My favorite part was simply looking at all the beautiful projects from the design team. I love florals, and some of the cards done with watercoloring and sponging are so breathtaking. I always enjoy the reveals – love seeing all the new designs and all the creative ways to use them. As with every release, seeing the design team’s creations! My favorite was waking up each morning to see what was new and seeing the beautiful projects from the design team. They never disappoint! 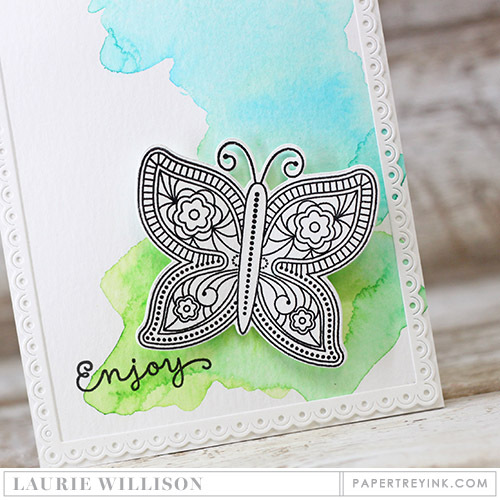 PTI stamps & dies are a great value but to see the explosion of creativity from those sets are so inspiring! Congrats on your 9th anniversary! There are so many wonderful products in this release that I want, so I guess the surprise 9% off is my favorite part – that means I can get more of the things I want! Thank you so much!! My favourite part of these festivities are the challenges, especially the alphabet challenge. And of course the new stamps and dies reveal!! I really appreciate the anniversary discount, too! I thought it was a fun idea to have contests everyday – the different challenges were very creative! and of course the chance to win everyday was exciting and very generous of PTI! The amount of artistic creativity is my favorite part of this release and all that you do. I am learning so much. Thanks to you all. Keep up the fabulous work. I like looking through all the new product being used in very inventive ways by the amazing design team…hoping to cash in on the savings tonight. Thank you PTI and happy anniversary! There are so many fun aspects of each release but my favorite for anniversary release is the special anniversary set and the 9% discount is super fun and helped me add just a few more goodies to my wishlist. 🙂 Happy Anniversary PTI! We all love your creative minds and beautiful work. Thank you for sharing it with us. My favorite was all of the creative contests! It was fun guessing the buttons in the jar and looking for the eggs! Happy birthday PTI! My favorite is too see how the designers showcase all these gorgeous products on their projects!!! It’s so inspiring!!! I love the extra days of projects & the challenges. I love the new color paper sheets and the stencils!!! My favorite part of the anniversary . . . I love the Egg Hunt contest, having so many fun and truly beautiful projects to see, the introduction of all the new series for the year, the opportunity to win free stamps, the anniversary set . . . February is a great month! Happy 9th Anniversary PTI! It is still the anticipation for what will be revealed, especially that unexpected item or two or three or…. My favorite part of the anniversary festivities is the contests allowing more winners and of course, all of the new wonderful products! Oh and also the sale on release night! I love sales! I enjoyed seeing the introduction of the new products, the beautiful creations by the design team, and all the fun challenges. But…my favorite part of the anniversary festivities, was seeing the new Anniversary Set and the fabulous inspiration provided by the design team. Can I say EVERYTHING??! I love seeing all the wonderful new products and the DT’s incredible creations using them – and this spread out over so many days. Makes getting up in the morning definitely more fun when you have something like this to look forward to! My favorite part was all the card challenges, there were some really fun ideas, I love the color pop fortune teller, the Paper Crafting Alphabet, and the thank you to the ware house staff. I spent all day at my craft table yesterday making cards for the challenges and had such a nice relaxing day. Seeing all the inspiring Easter projects was the high point for me! 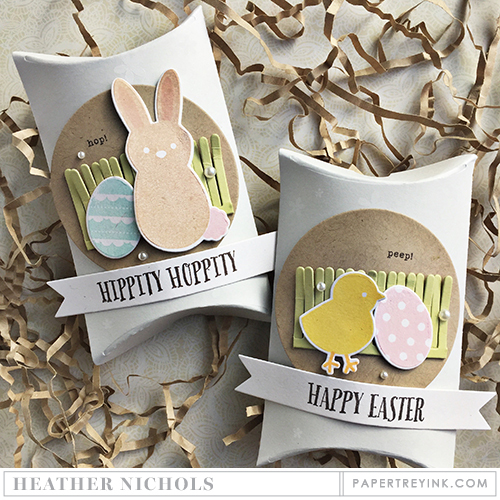 I just love the fun Easter ideas and the adorable bunnies! My favorite thing was the products! Just love them! Favorite part of this anniversary celebration was EVERYTHING! Love the lovely tulips and peonies and painted flowers! And all the fun contests! Keep bringing happiness to us crafters! I have loved seeing all the wonderful new stamps, dies, etc. that the talented designers come up with. I loved all of it but especially all of the inspiration and new products introduced. I wish I could buy it all! Also always love the easter egg hunt! Thanks for a fabulous anniversary party, hopefully there will be many more to come! It’s truly hard to pick a favorite, but I really looked forward to seeing the DT’s projects and to find out what the new challenge would be everyday! I also loved that so many of the challenges were so creative! I wanted to play along with every single one! My favorite is the inspiration the design team gives! Seeing the different styles with the same products is always so fun! The talent and creativeness PTI has within its team is AMAZING! and I love seeing what you create. The challenges and contests were just a bonus of fun! I wasn’t able to participate in the challenges, but I did enjoy looking at all the inspiration from the design team and the challenge card links. Lots of eye candy in such a short time! I think all the sneaks of the fabulous upcoming release and the DT projects and inspirational ideas were the highlight for me. My favorite part is being amazed at all the fresh ideas and design. You guys are amazing! Every month my favorite part of the release is seeing the incredible projects the talented design team creates. February is always the best month for this since there are so many extra days worth of projects to drool over! Congratulations on 9 years of innovation, creativity, and success. Besides all the great products in the release, my favorite part was all the challenges! That was so much fun! Thanks! My favorite part of the festivities has been seeing all of the new designs & how to use them! Love PTI! Other than seeing all of the Design Teams wonderful projects, the Alphabet Card Chart Challenge was really fun. I can see using it all year using different words to create rather than my name. Happy 9th Anniversary…and many more to come! I look forward to the extra days of release and inspiration that comes with the PTI anniversary! There is so much eye candy and just a lot of fun. Happy 9th Anniversary and wishing you many, many more! It’s hard to pick one thing, but besides all the challenges and DT creations, I was eager to see the Anniversary set. It’s a given that we love the challenges (new ones were great, especially the alphabet). Awesome release, PTI, and here’s to many more anniversaries together! Oh Gosh! This is a tough one, there’s so much to choose from….In the end, it still comes down to the monthly challenges. I don’t have time to participate in all of them or even most of them, but when I do it’s such fun and I love seeing what everyone comes up with! My favorite part is all of the new reveal I get so excited to see everything all at once ! And I love all the beautiful cards that DT makes ?? I loved seeing all what the DT had to share using the newest products. There are some amazing things coming! I loved seeing the challenges even though I was not able to participate. I’ve been hoping for a layered bird stamp, so that was exciting. And, I really like the paper doll set. The challenges were a lot of fun too. Thanks so much for all the hard work that went into the festivities. It certainly helped February to go by faster. Which is a good thing! My favorite part is all the new products interpreted differently by the designers. Such great inspiration! I think my favorite part was the anticipation! Wondering what you had up your sleeve each and every day….so many beautiful new products, did not disappoint! I am just starting out making cards, my favorite part was seeing all of the fantastic designs everyone came up with. I especially liked all of the color combinations for Spring, the beautiful birds and flowers, and of course the fun contests! Ten days is the longest release party I have ever seen! I loved all the new products and the contests. Thank you for so many chances to win! I enjoyed the egg hunt! Loved the releases of the new products and the amazing designs…couldn’t just pick one!! My favorite part is all of different challenges. Wish I had time to do them all. I also enjoying seeing all of the inspiring project and the new products, of course. Happy Anniversary, PTI! Loved all the fun challenges. Love seeing what examples everyone comes up with for the new products. Having more days this month made it that much better. This anniversary release was full of so many fun things! I love the fun contests with the challenges and egg hunt. You even got me counting buttons into my own jar at home! Lived every minute of it! I loved the egg hunt- what fun! And seeing all the new products- what the design team has done with them- SIMPLY AMAZING!!! You finally made me want to have a planner- here we go! My favorite part was seeing all the DT creations. My favorite part is definitely this new February release. The dies are just beautiful. They’re also very unique and lend themselves to many creative uses. I’m looking forward to seeing them in person! My favorite part is the different contest each day. I wish I could join them all. I love seeing the releases and the amazing creations the DT comes up with. It’s so hard to know that this release will be over tonight. It was so much fun! I made a wish list over on the website and ended up spending much longer than I had planned browsing through all the wonderful products. I love the contests every day. Yay! I find the Anniversary Release is so exciting to see the new items! Wow, can you believe that at first there was only one set revealed each month? I love the new Tiny Town items! I love to create cute packaging for things! So many possibilities! I enjoy the Design Team sharing inspiration! I love today…seeing everything at once is so much fun. My favorite part of the anniversary celebrations was the daily challenge. The little contests were great fun for someone like me that doesn’t understand how to post project photos, but I really loved the clever challenge ideas – especially the alphabet list and the nine squares. Thank you to everyone on your team that worked tirelessly to make this celebration so much fun for your customers; the extraordinary amount of inspiration is just one of the things that makes this an incredible company. Happy Anniversary! As with every month, I LOVE seeing all the creations by the design team! Everyone is so talented! As far as the anniversary goes, I love seeing the new anniversary set every year! I also enjoy seeing what others have created with their PTI products. My favorite thing was seeing all the new products and just all the wonderful excitement. All the challenges and games were so much fun! Love all the extra days of inspiration too. The contests have been really creative and fun this year. I loved the egg hunt. I think my favourite part of this anniversary has been the reveal of the new year long sets. Definitely can’t pick just one – love the whole event! OK I would go with the new tiny town series – I love houses and buildings! Great job PT! Loved seeing the new anniversary set. Just beautiful. My favorite part was seeing all the beautiful projects! Seeing the projects – always! The samples shared by you and your team are so inspired and inspiring. I really like your attention to details and the way you use the products in innovative ways. I’m always impressed. I love the anniversary stamp set. I only have four points, though, so I have to miss out on them! It was fun playing along with the.different challenges. Loved seeing all the inspiration from the team too. My favorite part was seeing all the new amazing products and the awesome inspiration provided by the design team. I also loved the contests! My favorite thing was all the projects for the mini kit. Also a big thanks for the 9%off tonight. I think it’s going to be a big order! The samples for the new products have been amazing, it has made me want everything! My favorite products were the new items for the planners! I can’t wait to start using the new daily pages! It was exciting to see which designers are back for the new year, too. That is always something I look forward to at anniversary time! Looking forward each day to see what other wonderful things were coming out and the beautiful ways the design team interpreted them. They are an amazing set of designers! AND this is an amazing release! I love the anticipation of the daily peeks, and the challenges which always inspire me to become better at this craft. Thank you so much for a great February. I love seeing the new products and stunning DT creations! My favorite part was seeing all the new Easter goodies! Easter is my favorite holiday and you did not disappoint. Thanks for always giving us so many choices of wonderful supplies to help us continue this fun hobby. I especially loved getting up in the morning and eagerly taking in all the new projects/products of the day. Amazing anniversary release! My favorite were your challenges, because they were challenging. I also enjoyed all the talented designs you all came up with. At anniversary time the amount of prizes that PTI gives out is so generous! I like a company that appreciates their customers & lets them know it. I love the five days leading up to the usual release day. My favorite thing is getting up in the morning and bringing my coffee to my computer and gazing at all of the lovely new projects the team has made with the new products. This time there was 10 days of getting to do that! The more the merrier! I loved the fun challenges that were presented each day. Count the eggs stamp would be my favorite. Happy anniversary PTI. My favourite part of the anniversary celebrations was the wonderful DT inspirations and ofcource the challenges. The first thing I did on waking up was to check out this blog. Thank you so much for all the fun. I enjoyed every bit of it. THANK YOU for yet another year of sharing your creativity and talents! I think it was all the flowers and bright colors used in the design team’s creations! All these bits of spring inspiration have been very welcome to look at. As always the anticipation of new products and the chance to possibly win some of them!! Great job PTI!! You ROCK! I really love them all….but the Easter stuff is catching my eye!!! Enjoyed the entire PTI 9th anniversary gala! The color fortune teller and paper crafting alphabet challenges were my favorite…especially because I can use them again for ideas when I’m stumped. Thank you PTI!! My favorite part of every release are the daily reveals. So much inspiration from the design team. Thank you PTI for 9 awesome years! Favs was viewing all the fantastic “goodies” available – loved it all! My favorite part of the anniversary release – wow, there are actually a few. I love the announcements and introductions each day, the challenges, the creativity, the fun in the forum. It’s been a fun week and a half!! Thank you, Nichole! I love the new house set and all the new ideas and the contests. I really enjoyed the challenges and games. I just love to see how other PTI customers use your stamps and dies. I also love the new anniversary stamp set, something to save points for! Seriously, the 9% discount,?. Love the anniversary set! My favorite part was the anticipation, every morning when I woke up that there was another day of terrific PTI inspiration. The PTI DT is the very best in the stamping industry and the amount of inspiration is never-ending! And the challenges this year were really great, too! Seeing the DTs ideas using the new products every morning while enjoying my hot tea! Love it all! Hard choice! But I think it was seeing all the Tiny Town houses and churches the designers made. It really got my imagination going, and I want to try some too. Thanks a bunch! I love seeing the different takes the designers have on each new product and all of their different ideas! I loved it all but the best part was all the great challenges. This release is really awesome & I want everything on it. Seeing all the great challenge creations gave me so many ideas. Thanks for all the wonderful inspiration from the DT & the contestants. My favorite was seeing all the new designs on the different blogs and also seeing some of the new uses of old products! My favorite part was reading the blog every morning to see what was new…and there is lots of new this month! I also really enjoyed the ‘fortune teller’ download and the contests (buttons, bunnies, etc). I always look forward to seeing the new anniversary set and beautiful DT creations! oh and the Easter hunt, lol. The “Tiny Town”die set was the most exciting for me. I have ALL the “Petite Places” and was agonizing their completion. My favorite part about this release is the really creative challenges you come up with! Although time constrictions keep me from playing along I did love to find out from you another creative way to “challenge” my card-making style! My favorite part of the festivities was the challenges this year. They were fun & creative–had a ball making my cards! And boy were the DT inspiring with their projects–lots I hope to CASE! Fingers crossed for a win which will be a BD gift for me & I’ll be sharing it with a couple of my special blogging friends! Happy Anniversary, PTI & thanks for all the wonderful products! My favorite part of every PTI anniversary is seeing the product line expanded! This year, stencils are being added, and I’m thrilled! I always love the challenges. I am able to restock my stash of ready to use cards. The alphabet list and fortune teller are going to be used again when I need inspiration. The new products and design team are brilliant as always. Besides the wonderful inspiration from the design team I loved the fun twists on the challenges. I just love the anticipation each morning. Every day there was something to look forward to!! I was anxious to see what new series of stamps were going to be introduced for the year. It has been a lot of fun! Love all of the new products….particularly Peonies on Parade and Painted Petals. Can’t wait to shop and earn the Painted Petals set. My favorite part was the announcement of the new “Tiny Town Series” by Betsy. I absolutely adored the petite places series and I’m very excited that there’s a larger set to be collected now. The entire release was amazing, and I can’t wait to see all the new products over the coming months! my favorite….seeing all the wonderful samples your team creates! True Inspiration! My favorite part of this release was the introduction of Tiny Town. I have always loved Putz houses so I am really looking forward to this series. I also was excited to see that the Keep-It-Simple Sentiments series continues as its mid-size makes it so versatile. Peonies on Parade! What a gorgeous set and amazing work by the fabulous DT! Happy Anniversary PTI!! My favorite part is seeing all the creations the design team came up with and getting to see the new Anniversary set! My favorite part was looking forward to 10 days of new products and example projects from the design team. I just love the excitement of the countdown and to have a full 10 days of it was SO much fun!! Getting a glimpse of all the new monthly series and seeing all the DT projects is fun, but for 10 DAYS it’s amazing eye candy galore! My favorite thing was the nativity mini ornament. My friends and I made nearly 60 to give away to the kids in our Sunday School! Definitely all of the amazing inspiration! Everyone has blown me away with all of their wonderful designs, and given me so many ideas for these awesome new goodies!!! My favorite part was seeing all of the DT’s creations. So much inspiration! I love all of the pretty Spring colors too! I enjoyed all of the contests! My favorite thing is seeing the new theme products for the year. Tiny Towns looks awesome! I also love hearing about SAF and last, but not least, hearing that all my favorite DT members (all of them) are returning. My favorite part was seeing the creations from the design team and participating in the contests. I enjoyed the Easter Egg hunt…I love Easter projects with all the sweet little bunnies & that added a little bit of extra fun & challenge to looking at the awesome projects. Honestly, all of the incredible new products. My favorite part was daily challenges, but I also enjoyed seeing how the design team used the different releases. As usual there are many beautiful products – now I have to decide which ones I need the most. I have to agree with many of your other visitors! The design team [many of their blogs come right to my email-box] have really created magical cards, as always! I look forward to many more years of PTI products – happy 9th Anniversary! I have to agree with many of your other visitors! The design team [many of their blogs come right to my email-box] have really created magical cards, as always! I am crazy about the tulips!!! And I look forward to many more years of PTI products – happy 9th Anniversary! I love dies of all shapes and sizes and the cover plate dies from this release are totally awesome. Love how they let you use different pieces in lots of combinations. Happy Anniversary to all of the wonderful people at Papertrey Ink from owner and design team to your warehouse wizards. You are by far, the most skilled and talented group in the paper crafting industry. My favourite part of this year’s anniversary celebration was having full product preview blog entries for the entire 10 day span (versus 5 days of sneak peeks and then 5 days of previews). Each day was different from the rest and so much fun! Can’t wait for 10pm tonight! 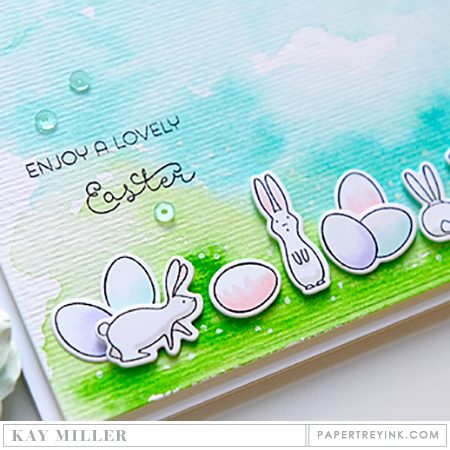 I liked the egg hunt on the different blog pictures and seeing all the creative use of my favorite new items of everyday symbols, simply spring borders/dies, and the posted 2 stamp. Thanks for all of the inspiration and your hard work–Happy Anniversary! The return of the Daily Pages for the Moments Inked Planner and all of the gorgeous flowers, Betsy’s new Tiny Town. I loved the anticipation of the release reveal – trying to imagine what the full sets will look like in their entirety! Such beautiful florals… sigh. I love the celebration of spirit, generosity, unbelievable artistic projects, fun challenges, and the extended version of festivities. Thanks to all! My favorite part is seeing what is in store for us in the coming year. Very excited PTI is adding stencils to the product line! It’s so hard to pick out one thing that was my favorite! I loved knowing every morning, when I woke, up there would be something new and exciting for me to look at on the blog! It’s always a bit of a let down the day after a release. I always love the egg hunt. Also, all the projects created by the design team were amazing! Thank you so much for all the opportunities to win! I really loved the challenges this year. Some of them were so creative. My other favorite part of the festivities is seeing what new series we are getting this year. Thanks for such an awesome anniversary festival. My favorite part is always the finished projects. Sometimes I see the sneak peaks, and think, no that doesn’t interest me. Then I see how they were used in beautiful and creative cards, and I think, YES I want that. Great job as always. I look forward to each month to see what you have to offer. A great release & such fun festivities! Congrats on 9 fabulous years. I think my favorite part of the celebration was the team introduction day – I love hearing about what it means to the team to work with PTI & to have a special chance to express gratitude to the team for all the inspiration. Happy Anniversary PTI!! Seeing all of the amazing designs and projects that you and the DT come up with. I love and appreciate the inspiration. Seeing all the lovely new products and the brilliant dt work.fab!!!! My favorite part was seeing all the wonderful projects the DT created. Especially love the the Tiny Town Church Die. But they are all awesome. Into Spring and New beginnings. I’m hoping to add many of these fun new products to my collection over the upcoming year. I’m amazed at the talent all the PTI design team share…so inspiring! Aside from the 9% discount on the order,my favorite was being able to see all the PHENOMENAL display of CREATIVE GENIUS that you DT has shown us on this release! I always think that the next release is not going to be as fabulous as the last one and every time I am proven wrong! This time it FLOORED ME! I had TOO much to look at and go gaga and be excited about! And although my pocketbook is going to suffer (you know my MANTRA by now) I swallow hard and take the hit, because let’s face it, this is my happiness and joy in life, aside from reading and playing video games. Thanks for making my little world a LOT brighter and happier! The release is awesome!! It is the first time I participate in this event and the challenges were very different and fun. I looked up every day for each new activity. I think is the best release yet! I loved the Market kit and stencils and I love flowers… Sooo, I can’t wait to start shopping! I’m always torn between the actual release and the design team’s creations. Loved the mix of challenges with the easter egg count and the jar of buttons. It was a fun combination of events! My favorite part, as is with every release, seeing the wonderful DT work their magic!! PTI truly does have the most amazing DT ever, and that includes you too! 2. The challenges are always very inspiring. And like someone else mentioned, it gives us a chance to see what others do with the fabulous PTI sets. 3. The intro to new and different products. The whole PTI team always manages to pull off the best anniversary celebration ever!! And of course, a HUGE “thank you” to you, Julie and Jane for all the generous gifts that are awarded and the discount, to boot! PTI does so much giving each and every month, which is a true blessing to so many out there. All the inspiration from the DT! Love the new products and the way everybody used them differently! Your anniversary is always a time for self-reflection for me. When you were beginning your company, I was pregnant with my boy/girl twins (they will turn 9 years old in May!). I attended a shoebox swap and there were these darling paper pockets with a strawberry paperclip from a new company called “Papertrey Ink.” Congratulations again on a successful year! Happy 9th anniversary. My favorite part of the anniversary festivities is the extra days of beautiful creations by the design team. It was all fun and exciting but seeing the designer cards and how to use the products was the highlight for me because no one can top your designers. You can see a photo of a die but you need to see how it is used to appreciate its beauty. I LOVE the mini market kit because I cannot get enough floral stamps and Betsy is a gem. THANK Y0U, THANK YOU for everything. I love seeing the new products and the designs created with them. What a fun release! I loved the extra days of getting to see the wonderful projects made with the new products. I also liked the fun contests and chances to win the random drawings. It was so generous of PTI to offer so many ways to win generous prizes! Thank you, PTI! Happy 9th Anniversary! My favorite part every year is seeing the design team favorites and color combos. I use the color combos for inspiration year round. I also love seeing the anniversary stamp set and all the inspiration that goes with it. It’s been a fun celebration! Thank you! We all love seeing the new releases and the beautiful cards made by the designers. My favorite part of this release was the different ways to win the prizes for each day. My favorite was counting the eggs, which was simple, but fun. My second one was counting the buttons. Congratulations, once again, on 9 years in inspiring crafters around the globe! I loved everything about the anniversary celebration, and though it’s hard to pick a favorite piece, I think Egg Hunt wins! My favorite part was to see all the new products and how they were showcased. Your design team is incredibly talented and I have really enjoyed looking at everything they have done. I want everything. I can’t afford everything, but I want everything. Soooo much inspiration and surprises! My favorite part was seeing what each of the talented designers showed and going from blog to blog gathering so much inspiration along the way! My favorite part was seeing all of the beautiful projects! I especially loved all using the new tulip set!!! The team’s projects are always a treat, but some of the unique and creative challenges you posted during the anniversary celebration were really fun. All of the wonderful challenge ideas! I especially appreciated that fact that all of the challenges and comments stayed open until today since I don’t often get a chance to check the blog daily. I loved all the contests that are offered during the Anniversary celebration .. more chances to win fabulous PTI goodies!! Also love the introduction of a new Anniversary set .. as usual, it is gorgeous! The PTI design team has done a fabulous job showcasing all the new stamp sets/dies this release – makes it very hard to pick which ones I would like to order first. My favorite part of the anniversary festivities is seeing all the new products and how the design team uses them! They all are so talented and creative! Thank you all for teaching and sharing with all of us! You never disappoint, it is always the WOW factor with Papertrey Ink! Thank you! My favorite part was all the goreous projects the design team created! Truly inspiring our creative natures! Love Tulip Time and looking forward to getting painted petals. I liked seeing all of the new projects and the easter egg hunt was fun. The every morning anticipation is so fun! I was hoping for more Moments inked products, thank you for the daily pages!!! Love all the flower designs and split design and to see every Example. Love it and can’t wait to order with my tax return. I always love the creative challenges (last year you had the building block dice game) – like this year’s fortune teller and crafter alphabet challenges. My favorite part was looking at all the beautiful projects created by the design team. It always amazes me how creative they are. The same stamp set or die but every person comes up with something different. Very inspiring! Happy 9th Anniversary and may it be the best year yet! I loved having 10 days of inspiration instead of 5 plus I liked the scavenger hunt. Always look forward to the new anniversary set too. All the added drawings are such a treat! You know how to throw a party FIRST CLASS! 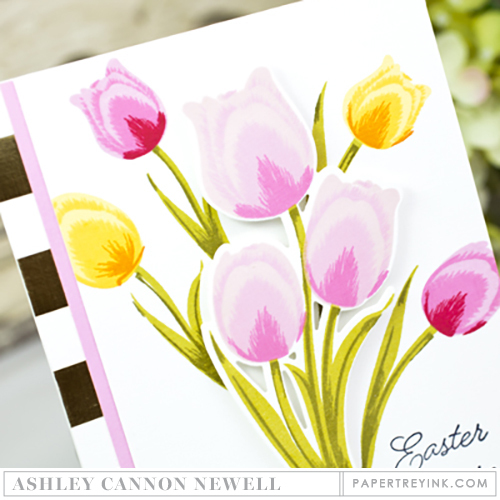 The paperdolls projects and entire set and the tulips and all the ideas used to make cards. Especially, Ms. Veldman’s card with the tulips and Savior die. I honestly have to say that the entire release is just amazing and inspirational! My favorite part was all the different challenges that you had. They were not an ordinary challenge with just color or shape, but some “extra” rules. I thought the one where you used your name and then made a card based on the instructions for each letter of your name was very clever. I always love to see the beautifully unique projects made by the designers. As always the design teams wonderful creations, and the final reveal are my favorites. I loved all the creative contests and seeing all the new projects done by the design team! Great job Papertrey Ink team! Seeing the beautiful work by the design team members and seeing the new products. I love this time of year! My favorite part of the celebration has been all the beautiful project samples created by the team… it is freezing here in MA with snow on the ground, but I feel like spring is here when I look at all the gorgeous florals in this release! I enjoyed all the fun and out of the box challenges. I couldn’t participate but I’m still hoping to do them after my foot heals and I can get upstairs to my craft loft and make some cards again. Can’t wait after all the inspiration I’ve seen! the announcement for Tiny Towns line!